Sadie Hough – Work/Wear: Sadie Hough graduated from the History of Design MA from the Royal College of Art and Victoria & Albert Museum in 2013, having completed a dissertation titled Work/Wear: Clothing in British Manufacturing, 1959-1982. During this time she was also a co-editor in chief of design history website Unmaking Things. Eldina Begic – The Comradettes: Eldina Begic is an artist and designer based in London. 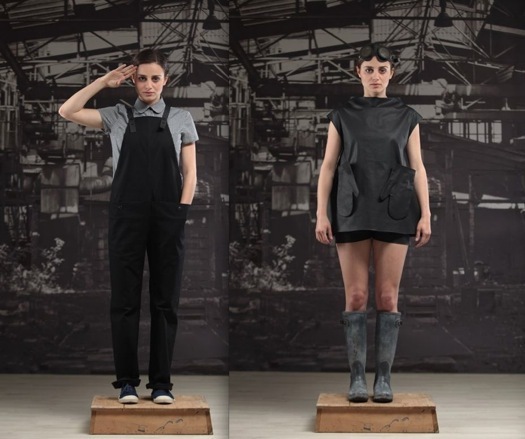 Her clothing project, the Comradettes is inspired by socialist work culture, drawing on her upbringing in former communist Yugoslavia. Dawson Denim – The History of Denim: Kelly Dawson is from family-run denim manufacturer Dawson Denim in Brighton. Speaking about the ‘history of denim’, including the origins of weaving, indigo dye history; Kelly will introduce us to Americas gold rush (denim boom time) and her present day work.